Just in time for Christmas. Now the little girls can play with their dolls. 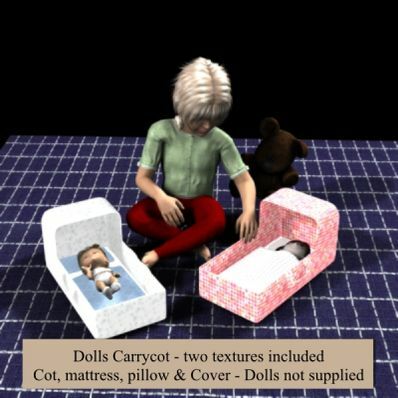 A Dolls Carrycot for use in Daz Studio 4. Load in the carrycot, select it and then load in the mattress, pillow and cover and they will be parented to the cot. Dolls can be placed under the cover.